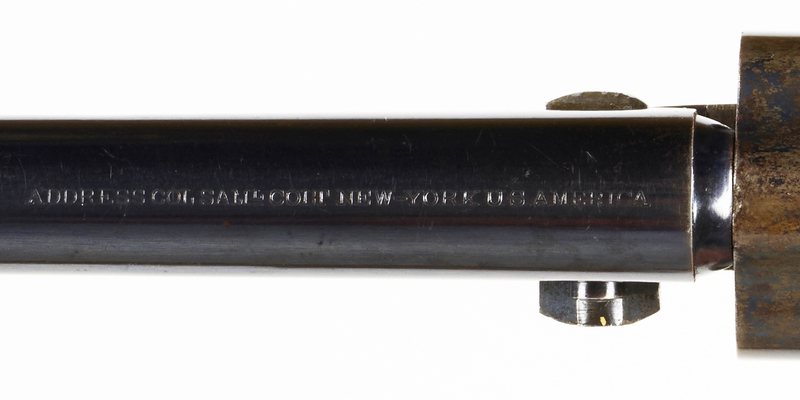 Excellent cased Colt Model 1862 Police revolver s/n 42909 with rare 5½ inch barrel. Cased Colt Model 1862 Police percussion revolver serial number 42909 with rare 5 1/2 inch barrel in excellent plus condition. Revolver from the Norman Flayderman Collection.